XP DEUS – Our chosen machine. The keyword is VERSATILITY. 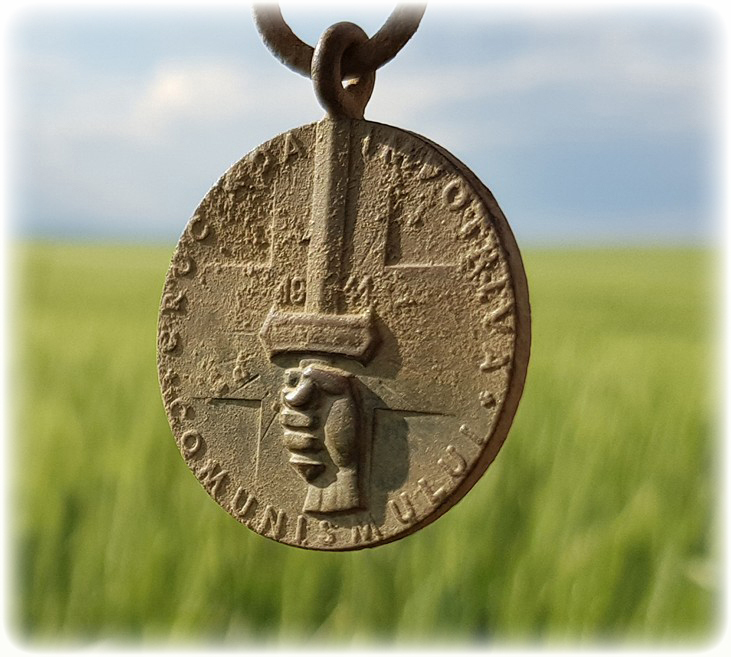 We are aware that most of the time, the Deus is deployed and recognized for locating ancient coins or artefacts, but there is a lot more to the world-wide detecting picture. We are a team of metal detector users specializing in the recovery of WW1 & WW2 relics, we work alongside the local community and indeed the museums. 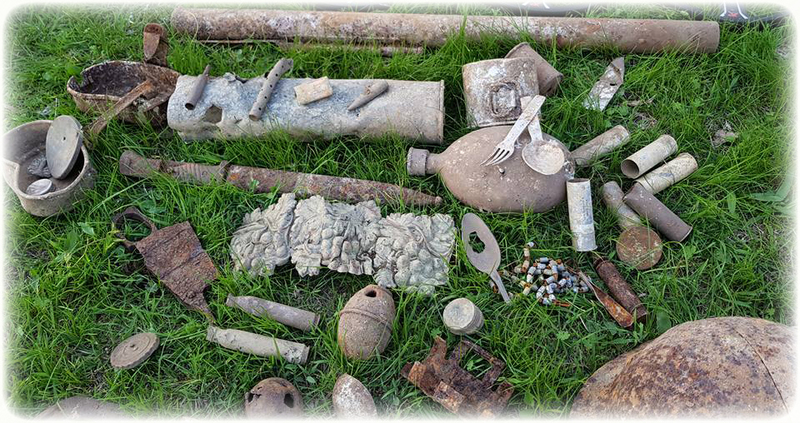 I would like to give you an insight about what the Deus is capable of based on 2 recent metal detecting sessions. 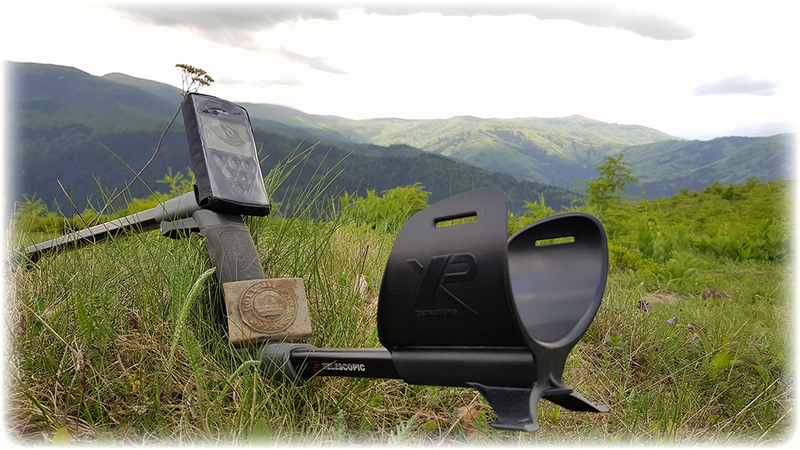 We explore remote mountain areas so having a light compact setup is vital for our work. Very often our week involves long hikes, so everything needs to be packed in a single compact backpack, food, drink, Deus, recovery tools, and so on. 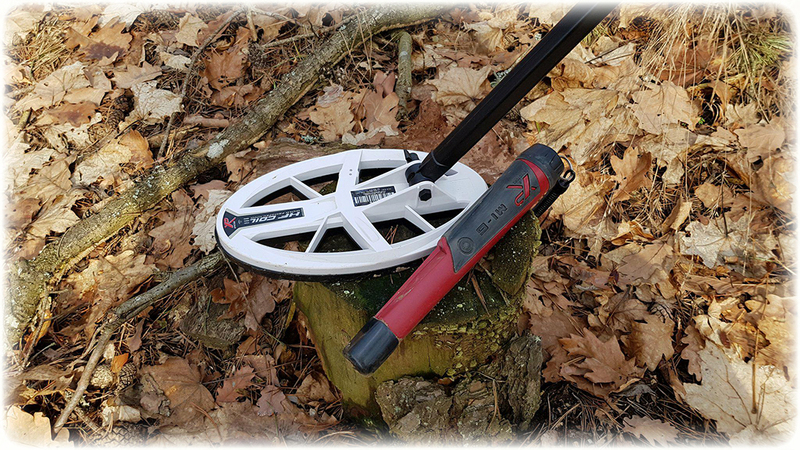 Targets such as bayonets or helmets, are very big ”chunks of iron”, we love to find them but it is fair to say you will find them with most metal detectors, so we aren’t talking about them, small non-ferrous targets can be a real challenge, especially in an environment filled with ferrous and non-ferrous contamination. The real ”trick’‘, and the one that has made it possible to find many of our discoveries, is the speed. 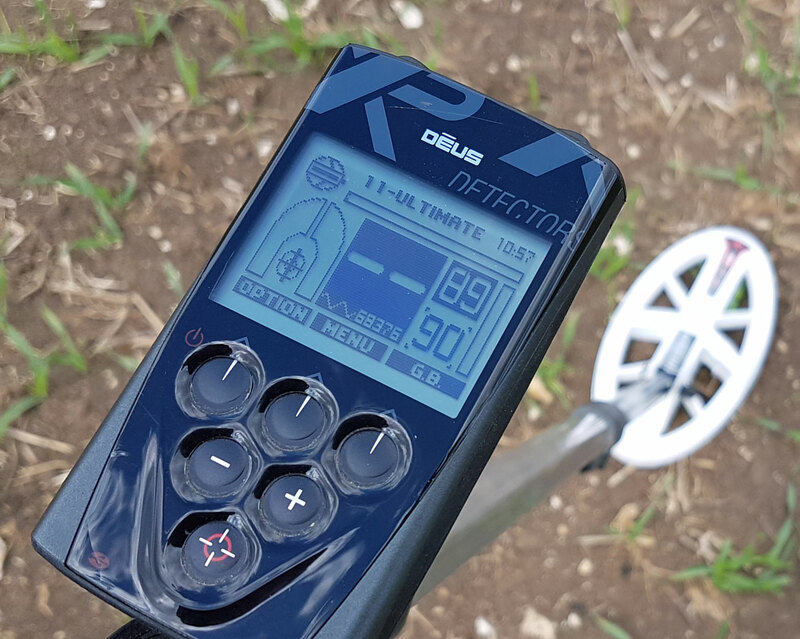 We believe detectorists make a common mistake and put everything on the depth factor, when very often it’s speed and recovery between targets plus good discrimination that make the difference between success and failure. 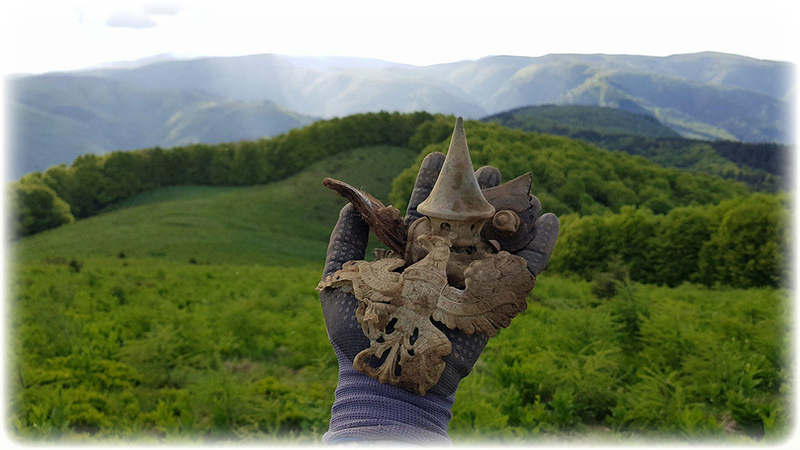 We are not talking about clear fields, forests or pastures, but about areas infested by all sorts of metal fragments: splinters, shrapnel, pieces left over from all kinds of destroyed equipment, and many, many thousands of empty ammunition shells. Keep in mind that almost all of the above targets, produce very high and stable signals with good readings, so you have to dig most of them, because you will never know what it could be or indeed underneath ”another of those signals” A military decoration could give a signal very similar to an empty shell, while an empty shell sounds like a silver coin, and the silver coin sounds like an identification tag and so on. Many manufacturers claim speed, depth and target clarity but from our experiences these points appear to be only visible on static tests with a known buried target, you know the ones on YouTube comparing other machines against the Deus, but as some of our team have recently discovered, these are static tests and certainly do not come close to the Deus in the field – I mean real detecting. Suffice to say now our 8-member team, are all fully equipped with the XP Deus, along with MI-6/MI-4’s probe. Simply because we want what works, we also like the fact that XP offer a product to the customer without bucket loads of hype, to me that says one thing……confidence in your product. Here is a brief summary of our last two sessions. 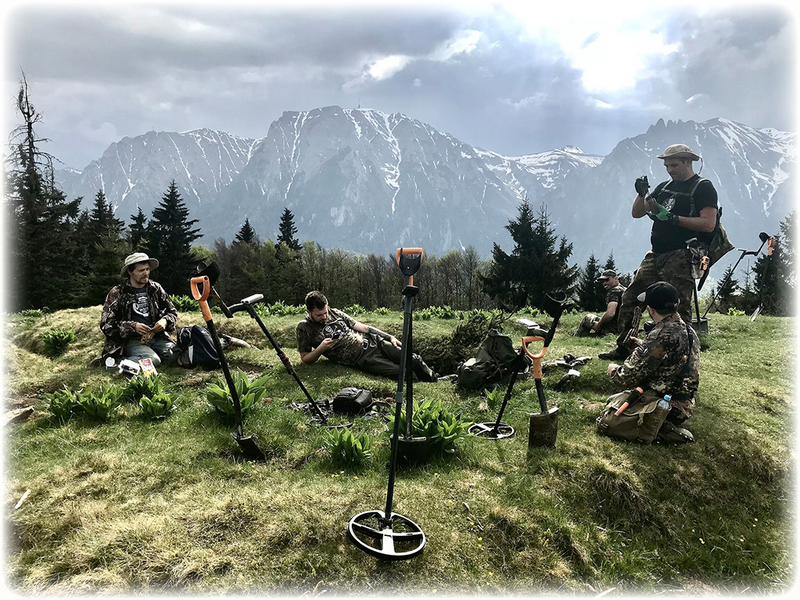 The firsts hunt relates to our ”spring offensive”, meaning that we are finally able to go digging, after a long winter spent at home cleaning and restoring previous discoveries. 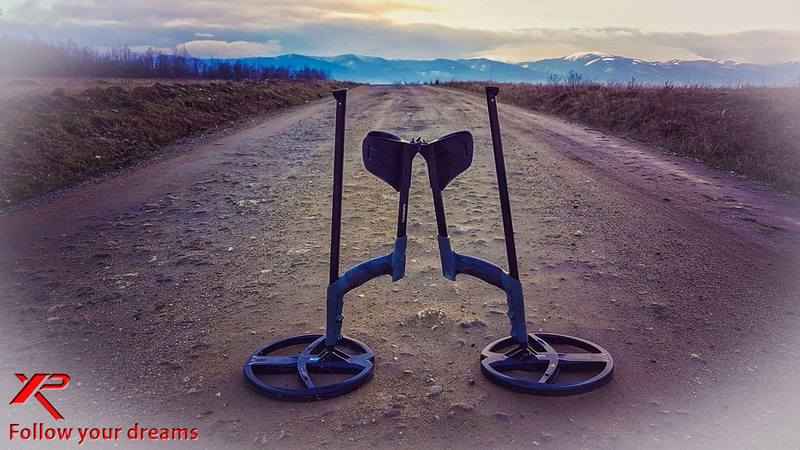 The first spot is in the Carpathian Mountains, a spot very familiar to us, having a rich WW1 background. We’ve explored the area many times, but after following some new info, we’ve managed to locate a new German defence position. 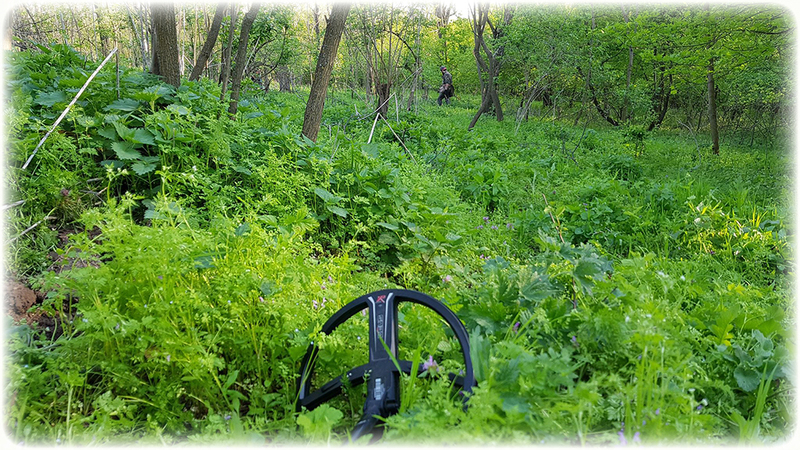 We concentrated our search around a sector built around two lines of trenches, facing a valley. We used a custom Deus Fast program and a low/moderate discrimination. After few hours spent digging splinters and empty shells, we located a small area, where ”everything happened”. Among tons of empty rifle shells, the Deus picked up some slightly different signals, and they were slightly different for a reason; they were not empty shells. The machine’s recovery speed made it possible to locate and extract several good targets from an infested spot. We had found a ”garbage pit”, a spot used to dump damaged and unwanted equipment. From this small area we recovered a German belt buckle and several parts of pickelhaube helmets, including the frontal imperial eagle crests, a silver coin, a small bronze cross and two other coins. The second session relates to a WW2 context. A more urban situation, a forest located not far from a small city, where during the Second World War a German base was situated. Unless you were there and experienced it for yourself, words cannot describe how badly infested that place was. Being near to a city, the forest was full of a variety of modern garbage; the 2 former German bunkers located there became cesspools, and filled with metallic junk, such as foil, bottlecaps, condoms, nails, cell phone parts, modern coins…you name it. The same trick applied: The combination of Deus’s recovery speed + our solid nerves, did the magic. While exploring an area located near the border of a roadway, we picked up few German uniform buttons, and in a short time discovered several other little ”signs of presence”. Once again, we managed to extract from a totally compromised context. A German helmet and bayonet, a medal, the ”Crusade against Communism”, (awarded to both German and Romanian soldiers) a silver/medal pendant and a silver brooch representing an edelweiss flower (both of them most probably civil, but among a soldier’s belongings) and a few more other interesting artefacts. Most of the discoveries, were made with the elliptical HF coil; which has (beside the speed) a superb separation between targets it has given the XP Deus, truly a sniper and a real asset to the XP accessory range. We are sure that the area isn’t fully explored, so we intend to get the round 9” HF coil in order to have 2 machines with HF’s on that spot (and others also). We search as a team in remote places, most of the time it is not necessary to wear headphones. However this search area was a little different, not just the contaminated soil but we were very close to passing cars and this is when we found the WS4 headphones to be an essential piece of kit, they allowed us to totally focus on the targets, separating them from the background noise of the nearby roadway. If you bought your setup without the WS4/WS5 headphones, do a very little step further and get a pair, you won’t regret it. You’ll be astonished to find how the signal clarity can make the difference, especially when compared to “non-XP” after market headphones. 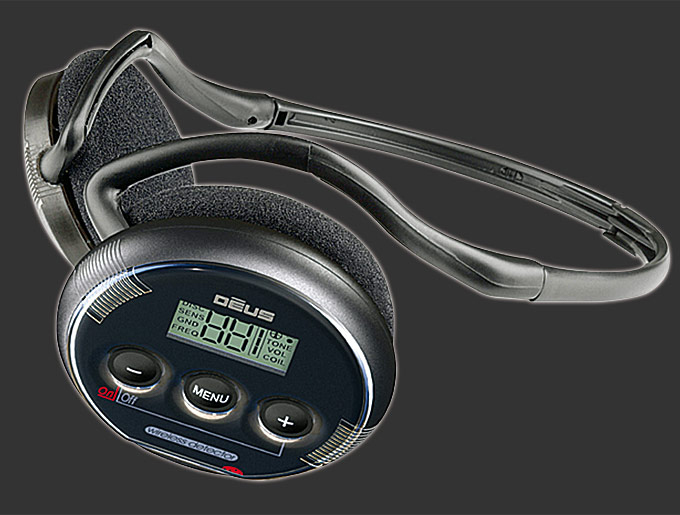 The XP headphone system is a truly amazing piece of engineering, give it a try and you’ll understand what I am talking about. For the great machines (we love the new MI-4, we will write about it soon) and not to forget the great customer service. We wish to all of you out there in the fields, the best of luck and hope you follow your dreams!